Product #1069 | SKU 2-19-0011 | 0.0 (no ratings yet) Thanks for your rating! 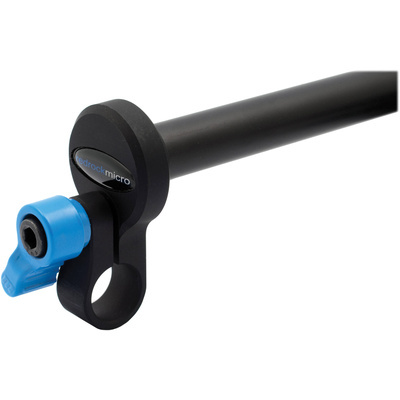 With its integrated rod clamp and thumb screw, the Redrock Micro 4" Grip Rod is ideal for attaching rod-mounted accessories to any 15 mm rail system. Forming a perfect combo with Redrock's microMount, the Grip Rod can be used to attach such accessories as monitor clamps, hand grips, and microphone shock mounts.